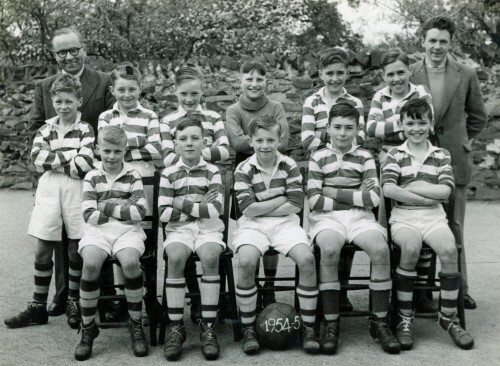 Front row, left to right: Dennis Ball, Colin Neal, Graham Pervin, David (?) Callaghan, Richard Clarke. Missing information: Can you provide the missing names?